Beautiful move-in ready home which features a Pool. Meticulously manicured front and backyard. Other features include, granite counters, R/O system, surround sound speakers, outside speakers, gas stove, and ceiling fans. The master bedroom is downstairs as well as another bedroom. The upstairs has a huge loft and two additional bedrooms. 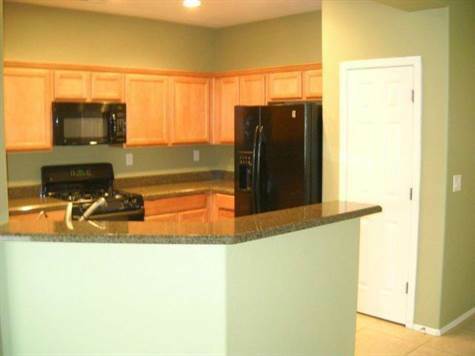 The home comes with a washer, dryer and refrigerator. The landlord pays for yard maintenance, pest control, and pool care. This is a super clean rental.